The Southern California coast heading towards San Diego and the surrounding areas are my old stomping grounds. What’s not to love? Gorgeous blue skies, the Pacific Ocean, and 75deg weather year round. Sadly, since moving to Washington State visiting the southern-most coastal area of California is a bit difficult. Visiting my home state usually involves family visits in Orange County so the two-hour trek to the southern-most part of the state is a bit difficult. Well, there is one thing that gives me that “coastal love” that I long for: Oceanside Ale Works. Now, OAW does not distribute to the PNW, but luckily I have been able to get my hands on a few of their creations. Each beer is just as amazing as the last. 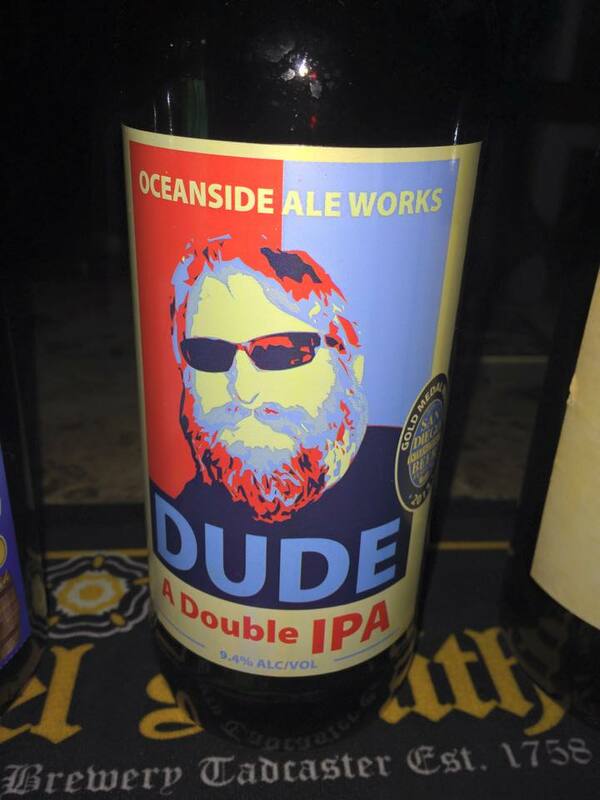 Dude Double IPA – This is Oceanside’s most popular beer. As a double IPA, I was expecting a strong, “blow your head off” hoppy ale. What I got was a well-balanced, slightly malty IPA that even a beer newbie would enjoy. Hints of caramel hit the palate and hop flowers break through the finish. This beer is lovely. Oh, and owner Mark’s photo is on the label. How cool is THAT dude?!?! Funk-n-Delicious Blueberry – WOW!! Real fruit flavor! Really great aroma of freshly picked blueberries. The flavor is tart, pungent fruit. Nothing fake about this beauty! Sour, sparkly, exactly how you want a fruit beer to taste. Gorgeous! Up A Kriek Cherry Sour Belgian Blonde – Pretty, pretty beer. If you are a fan of sour beers, this one should put a smile on your face. Tart cherry fruit from start to finish. Effervescent, Champaign-like elegance. Perfect after-dinner treat. Simply gorgeous! I have yet to actually visit the brewery in Oceanside, but hope to make a trip down there soon. If you hit the Golden State be sure to check around your local ale house or bottle shop and pick up a bottle of liquid So Cal! I’m pretty darn lucky! Not only do I live in the darling town of Gig Harbor, WA, but I have three breweries within five minutes of my home. Oh, and one of them is my current favorite brewery! 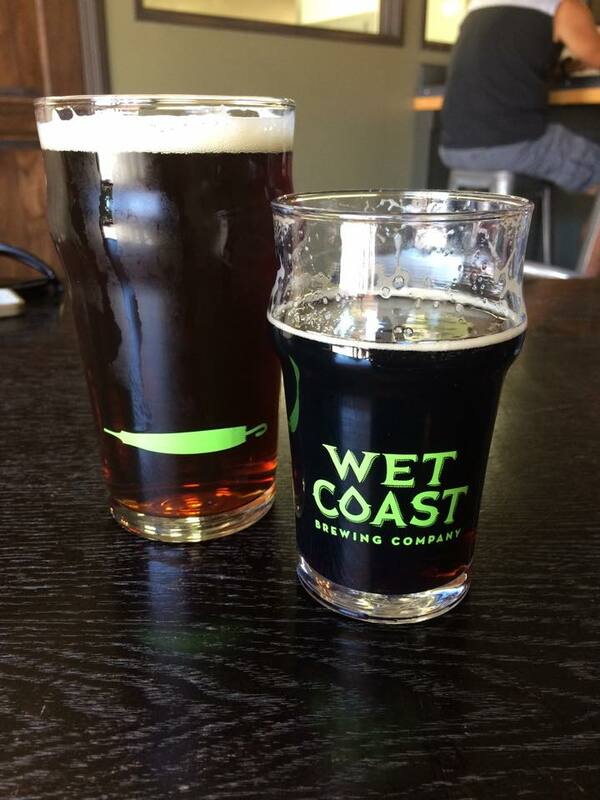 Wet Coast Brewing opened in June and is strong coming right out of the gate! I’m really excited about this brewery. Every beer I have is great and there is constantly something new on tap. East Meets West ESB (5% ABV) – Malty with a hint of nuttiness. Very smooth with a crisp finish. Line Jumper IPA (5.4% ABV) – Well-balanced IPA w/honey notes. Lovely hoppy finish. Dark Coast Black Ale (5.1% ABV) – The name is no lie! This baby is as black as ink. Smokey and rich, this lovely ale is a coffee and chocolate lovers dream. But, what’s nice about this beer is that it’s lighter bodied than what you would expect. Great on warm days or curling up next to and autumn fire. El Capital Coffee Brown (5.1% ABV) – One of my favorites!! An ale brewed with lots of coffee. The only description needed is that it’s like drinking a creamy dark chocolate iced coffee. So Yummy! NorthWET Session Ale (4.9% ABV) – Great ale to hang out with. Great hop notes from start to finish. Very easy to drink and finishes clean. Belma Blonde (5% ABV) – Light, sweet and fruity. Oranges and a hint of honey. Great beer for those with a sweeter palate. Brass Rail Pale Ale (5.5% ABV) – My absolute favorite of the regular lineup! Hoppy, fruity, and very well-balanced. It truly is one of the best pale ales I’ve had in a long time. I can’t get enough of this one! Wet Coast is open Thursday & Friday 3:00-9:00pm, Saturday 12:00-9:00pm, and Sunday 12:00-5:00pm. The tap-room is simple and laid-back. Kids and outside food are more than welcome. While your there, say “Hi” to our favorite beer tender Sarah Jane! She’s a peach!!! In the Long Beach neighborhood of Belmont Shore sits the Belmont Brewing Company. I did not have a chance to visit the brewery itself, but I did get to try one of their beers at the local Yard House. If you have never been to the Yard House (there are several locations in several states) you are really missing out! Over 100+ beers from around the world on tap. On the menu that night was Belmont Brewing’s Strawberry Blonde (4.5% abv). Fruit beer gets a bad wrap for being, well, fruity. Most men consider fruit beers “chick beer.” They couldn’t be more wrong, especially with this little gem. Fresh strawberry hits the nose before you can raise the glass. The fruit flavor is fresh and clean, does not taste syrupy. Lovely jamminess from start to finish but not too sweet. A lovely beer to get into the So Cal mood! One night, I met with some very dear friends of mine at a more “spiritual” house downtown. 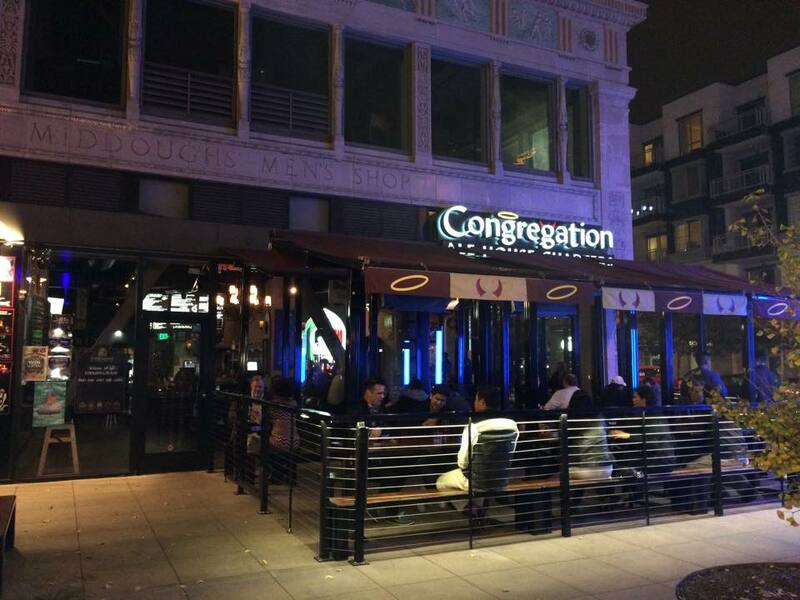 Congregation Ale House is located right in the heart of downtown Long Beach. The actual brew house is located in Azusa, CA but there are three locations to enjoy: Azusa, Long Beach and Pasadena. The Long Beach “chapter” was quite lovely with glowing light, gothic arch ways, and gorgeous wrought iron chandeliers reminiscent of a gothic cathedral. The staff was very friendly and beer savvy and one of our servers, Kevin, was a kick in the pants! Thanks, Kevin!! Praise On! Saison (5.8% abv) – This lovely farmhouse ale has a sour fruit aroma, wheat character in the body. It finishes sour and crisp. Eternally Strong Brotherhood ESB (5.4% abv) – I love a good ESB and this one hit the spot! Very malty, slightly bitter, and very delicious. Light hops in the top, with a slightly sweet finish. Very enjoyable. Dark Of The Covenant (7% abv) – This American Strong Ale, is just that! Soft, smokey aroma and dark chocolate body. This is definitely a sipper for dessert. Almost like drinking a smokey chocolate bar. Quite tasty! 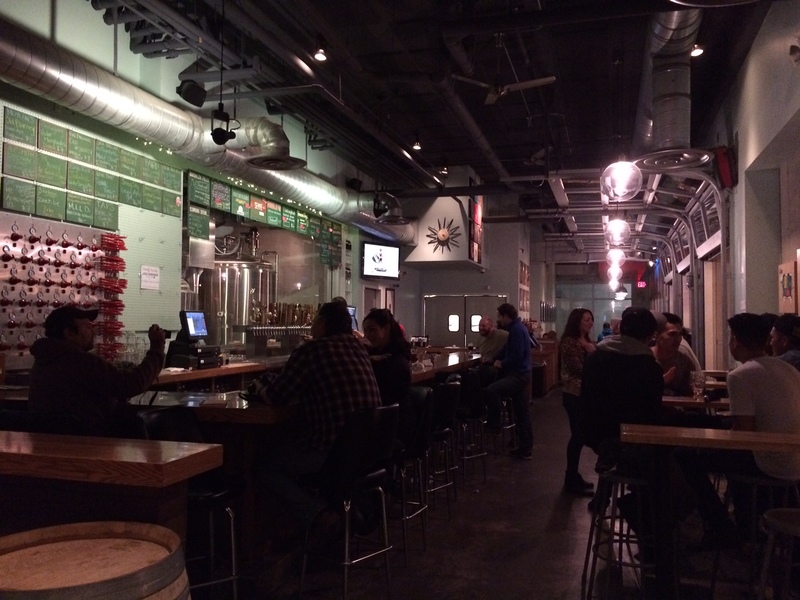 A few doors down is Beachwood Brewing Company. This brewery is also known for its BBQ and has two locations: downtown Long Beach (where I was) and Seal Beach (a bit further down the coast). Very laid back atmosphere. Nice place to hang out. Foam Top Cream Ale (5.5% abv) – The aroma of Golden Grahams cereal hits the nose right away. Honey-sweet body and a creamy finish. Very easy to drink. Perfect beer for So Cal. Knucklehead Red (5.7% abv) – Very well-balanced red. Nice caramel character with just enough hops to give it the kick “hopheads” require. Quite nice! 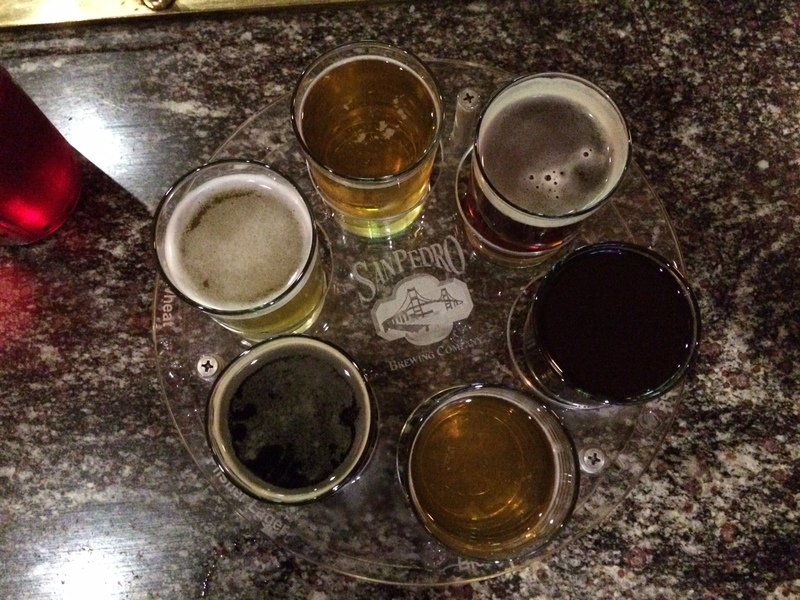 On the last night of my trip I visited San Pedro Brewing Company located in historic San Pedro, CA. Just a stones throw (and a bridge crossing) away from the Queen Mary, the brewery is tucked away in a darling, historic neighborhood. This brewery/restaurant is BUSY! I was a bit bugged at first because it took almost 15min for anyone to acknowledge me after I sat down (as a former server/bartender, I’m pretty patient). Once my server stopped by things started looking up. I enjoyed a delicious grilled cheese sandwich and a taster tray. 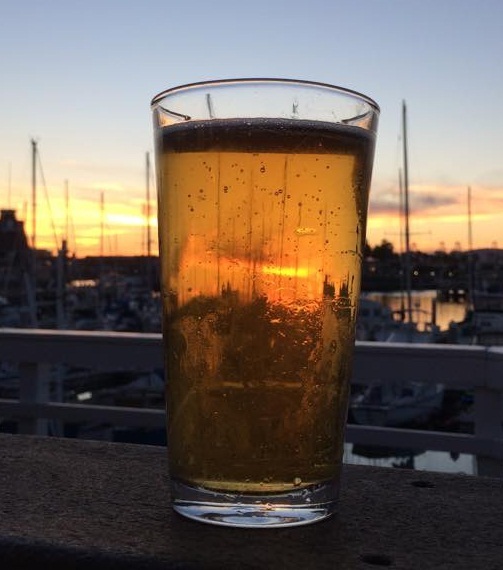 Bruin Blonde Ale (5.5% abv) – This light bodied ale had a candy-like sweetness with a caramel finish. It was a bit like drinking, you guessed it, candy. Very nice for a hot day. Sunken City Imperial Stout (8.3% abv) – Ink black color, dark chocolate from the start, but finishes smokey. Full bodied, malty, and very smooth. definitely and after dinner beer. Port Towne Hefe (5% abv) – Hefeweizen is one of my favorite styles of beer. This one was OK, but just a bit watery than what I prefer. The traditional banana clove flavor and aroma were present, it just didn’t have the body I was looking for. Still, not bad. Red Headed Hop Child (5.6% abv) – Gorgeous color! Hoppy with a touch of hazelnut on the palate. Nutty, crisp finish. This was one of my favorites! Iowa Battleship IPA (6.6% abv) – Named for the historic battleship docked just a few minutes away, this IPA is sure to make any “hophead” smile, but easy enough for the “hop-shy” to warm up to. Beautiful floral aroma with light hops throughout. Nice, clean finish. This IPA is perfect for the beginner and easy to drink. Blitzen Belgian (9.11% abv) – This was my least favorite, but not because of quality. I’m not a barley wine/hard alcohol kind of gal so anything higher than say 8% abv really comes through on my palate. This Belgian ale was thick, syrupy and VERY sweet. Too sweet and thick for me but is sure to please the barley wine crowd. If you would like to stay on the Queen Mary, be sure to look into some of the ship activities as well. It is a fun place to stay and a great alternative to a traditional, boring hotel. The free shuttle I mentioned leaves from the parking lot and stops in the downtown area only but runs until about 2:00am. Incorporated in 1875, Tacoma, WA is bursting with rich cultural and architectural history. 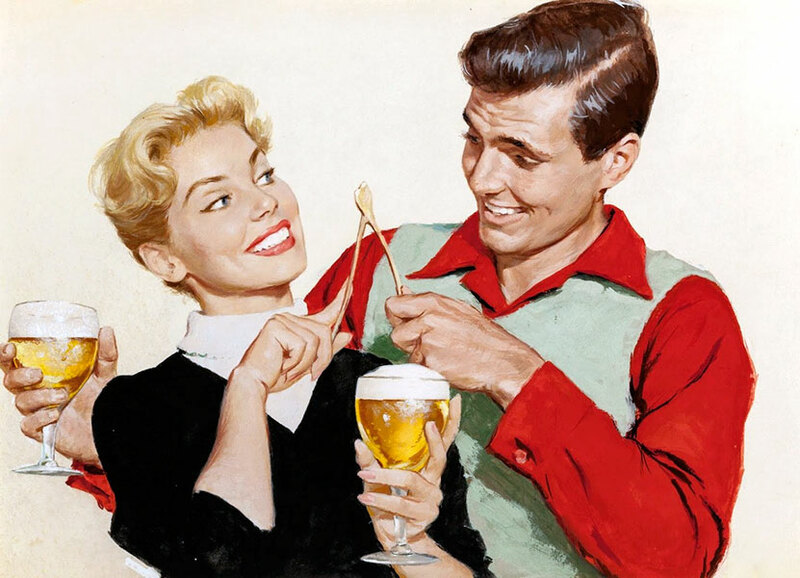 Surprising to many is that craft beer shares in much of that long history. In 1897, the Pacific Brewing and Malting company opened its doors in Downtown Tacoma. 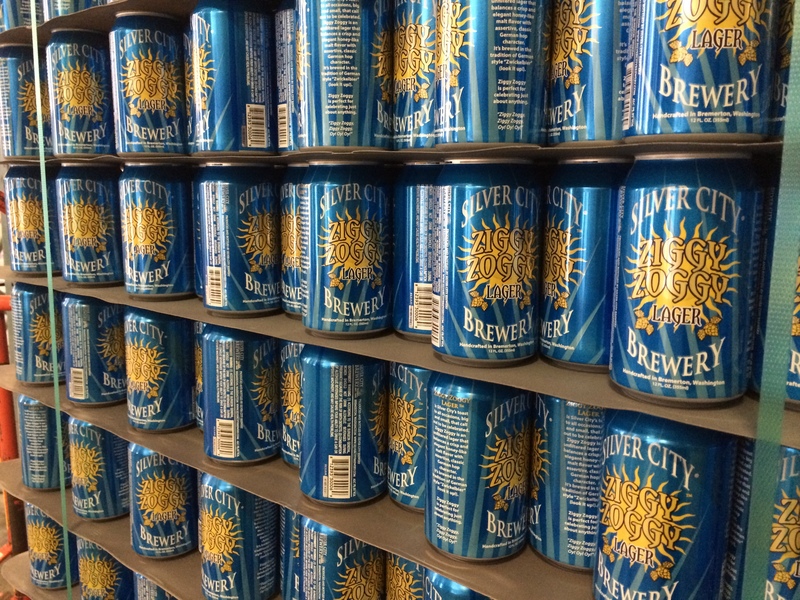 It quickly grew into the one of the largest breweries in the Northwest. Sadly, like many craft breweries of the time, Pacific Brewing was shut down due to statewide prohibition in 1916 (four years before the nationwide ban). Lucky for us, two lovers of craft beer, Steve Navarro and Brent Hall, decided to resurrect the old Pacific Brewing and Malting brand, right down to the original logo, and give it new life! The brewery is located at the foot of the Old Town Hall on Pacific Ave in the shadow of the iconic clock tower. The building has been lovingly restored and looks amazing, both inside and out! Vintage style carriage doors grace the front and gorgeous reclaimed wood table line up on the inside. Exposed brick walls give a wonderfully warm and inviting feeling. Opening day was a busy one but I was able to squeeze my way in and try a couple of pints. First up was Dirty Skoog IPA. This a very well-balanced IPA and a tad sweeter than you would expect which is a nice change from the “blow your head off” hoppy IPA’s. Quite lovely with a malty finish. Next up was the Citra Pale Ale. Very crisp and full of fruit notes and citrus. Just hoppy enough to make IPA enthusiast order another one. But my favorite of the day was the 1897 Pale Lager. Malty, sweet, light and refreshing. This lager is a nod to the original lager once made by Pacific Brewing but with modern brewing in mind. It’s quite a delightful beer. Other beers they brew are Grit City Porter, Moon Yard Strong Ale, Galaxy Smash (single malt/single hop IPA), and they are currently brewing a Smashing Pumpkin Ale. Yum! This particular area of Pacific Ave is about sure to be a the craft beer epicenter of Tacoma. 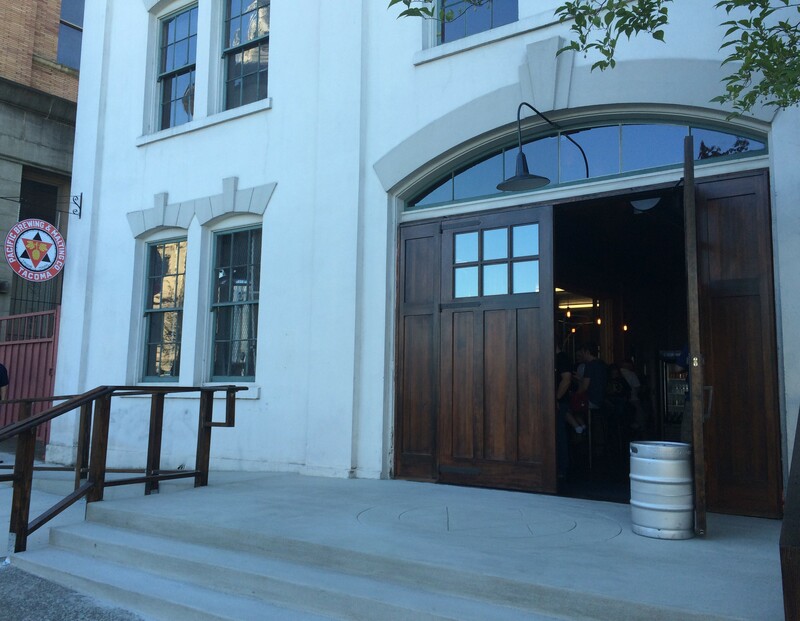 Odd Otter Brewing is opening soon and just a few doors down from Pacific Brewing, and the McMenamins purchased the gorgeous Elks Lodge building just behind and is in the process of restoring to its former glory. So, stay tuned! I love Louisiana. I have only been there once, but my Cajun roots keep calling me to come back. I visited in 2005 and fell so much in love with the state that I booked a trip to go back the following October. I did not get a chance to visit Abita Brewing during my one and only visit so 2005 was going to be my year. Unfortunately, fate saw differently and Hurricane Katrina hit the gulf ruining my plans to visit, and shattering thousands of lives. Abita Brewery suffered about $30,000 in property damage from the hurricane along with the loss of 31 gallons of fermenting beer. Luckily, they were able to reopen two weeks later and have been going strong ever since. 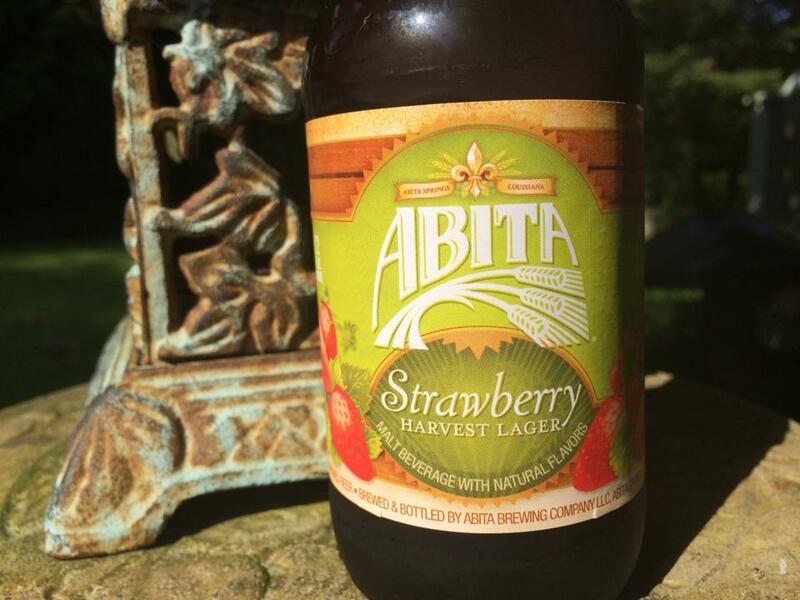 Well, it’s 2014, spring has sprung in the south and I can’t think of a better way to celebrate than with Abita’s Strawberry Harvest Lager. The essence of fresh picked strawberries hits the nose immediately. This beer is lightly sweet with a touch of sour. Louisiana strawberry juice is added after filtering giving a fresh fruit flavor without tasting sugary or fake. Subtly strawberry flavor carries right through to the crisp finish. Though this is a “fruit beer” it is by no means “chick beer.” And at only 4.2% ABV this lovely lager is perfect for those hot, humid, southern afternoons and cool breezy evenings. It pairs well with any food because the sweetness of the fruit is well-balanced and not too overpowering. So instead of grabbing a sweet tea at your next BBQ, grab one of these.